One pan meal - protein and veggies all done and super flavorful! Add the canola oil to the base of the Dutch oven and saute the chicken over high heat, browning both sides. Once browned, add the baby potatoes, baby carrots, diced tomatoes (undrained) and Italian seasoning to the Dutch oven. Reduce heat to medium and cook for 15 to 20 minutes, or until chicken is cooked through and potatoes are softened. Season with salt and pepper to taste. 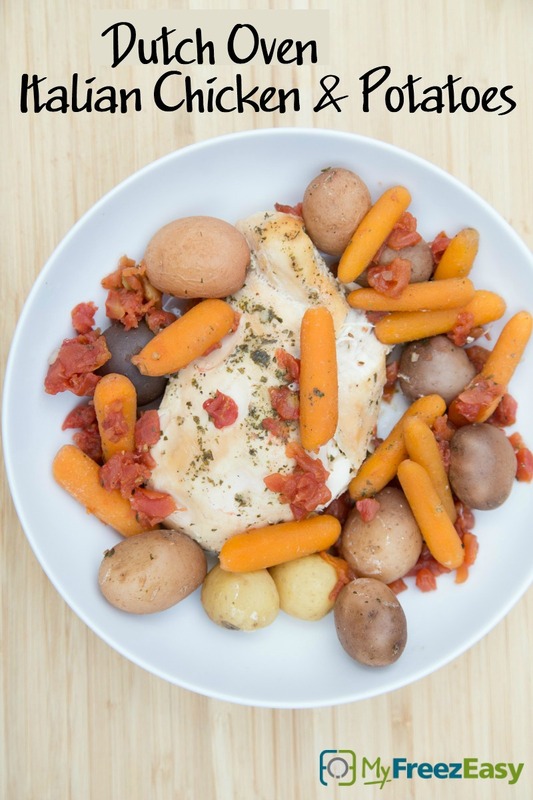 Serve Dutch Oven Italian Chicken & Potatoes with side salad. Put baggie in the freezer and freeze up to 6 months in fridge freezer or 12 months in a deep freezer. 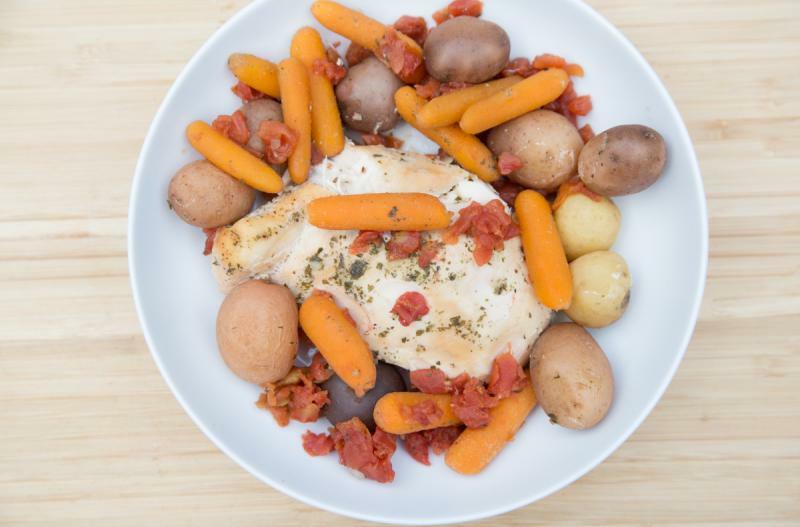 Thaw in the fridge overnight, or a warm bowl of water for about 20 minutes, before transferring to the Dutch oven and cooking over medium heat until chicken is cooked and potatoes are softened. Thaw and cook in the Dutch oven.